Things keep changing over at the LA Times education desk. Over the past few months, the longtime Education Editor Beth Shuster left the paper, as did longtime editorial page education writer Karin Klein. Managing Editor Mitra Kalita, who brought in several reporters, left for CNN. During the same period the education team has been castigated numerous times for over- and under-covering various issues and for taking funding from a consortium of funders including Broad. The resulting coverage can sometimes be extremely careful (and good). For example, take Joy Resmovits’ coverage of the ACLU SoCal study on charter school discrimination: Some California charter schools discriminate, ACLU report says. Resmovits also filled us in on what former LAUSD head John Deasy was doing next (Deasy to build alternative juvenile prisons). Other recent stories from the LA Times include Relationship between LAUSD & charters ‘like a middle school dance’ and Charter school & union unite on retiree benefits for charter teachers. Phillips replaces Zahira Torres, who has according to her Twitter bio become investigations editor at the El Paso Times. She’ll apparently be edited by Nita Lelyveld. Unless others have departed, the remaining education team includes Howard Blume, Teresa Watanabe and Sonali Kohli. 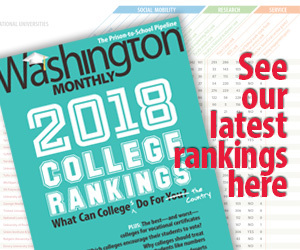 Phillips is among a small but steady trickle of reporters who have returned to the education beat from other topics in recent years — a trend that EWA’s Emily Richmond may be writing about for an upcoming column. A New York education reporter's self-examination after a few years on the beat. This week in education news.